ACADEMIC CURRICULUM: She studied History of Art and Archaeology at the Sorbonne-Paris IV (Institut d'Art et Archéologie), where she obtained the Maitrise (1992) and D.E.A. (1995) with Professor Philippe Bruneau; Complementary courses (DIKATSA Exams) at the National Kapodistrian University of Athens, School of History and Archaeology (1994); PhD in Classical Archaeology from the National Kapodistrian University of Athens (Dec. 2007). OTHER SKILLS: Studies in Cultural Tourism at the National School for Guides, G.N.T.O. (1995-1998), where she obtained the National License in four european languages (gr, ger, fr, en); Courses in Digital Photo Processing, Digital Design, Databases; Pottery drafting. INTERESTS: Material study of the past (pottery, small finds, jewellery, coroplastics); Ancient Religion and Cult; Iconography; Archaeology & History of the Cyclades; Eleusinian cult vases; Shapes and uses of pottery. FIELDWORK & RESEARCH: Collaboration and Research activities in various projects: Minoa, Amorgos (Cyclades); Kakoulas Plot, Rhodes (Dodecanese); Xobourgo, Tinos (Cyclades); Delos (Cyclades, EFA); Vryokastro, Kythnos (Cyclades); Kerameikos (Athens-Attica, DAI); Eleusis (Attica). EDITORIAL WORK: Scientific collaborator of the Revue Kernos, author of the Chronique Archéologique de la religion grecque (ChronARG) on the Cyclades. POSITION IN DEPARTMENT: Archaeologist. Responsible of the Laboratory of Archaeology (2002-2011), and Adjunct Lecturer (2008-2011). * Organizational support of Congresses: AETHSE 1, AETHSE 3, Oropos and Euboea in the Early Iron Age, The world as a stage: the spectacle in antiquity, The "Dark Ages" revisited: an International Conference in Memory of William D.E. Coulson, Sanctuaries and Cult of Demeter in the ancient Greek world (member of Organisatory Committee), Ancient Greek Pottery Technology, 10 Years of the Department of History, Archaeology and Social Anthropology (IAKA), The 2nd Congress of Prehistoric Archaeology. * Scientific Collaborator of the Kythnos Excavation(2002-2009) and the Publication Project of the Archaic Sanctuary on the Middle Terrace (2002-2006): Lamps, Terracotta Figurines, Hellenistic & Roman Pottery, Small Finds (gold jewelry, rock crystal amulets). Coordinator of various study sessions. 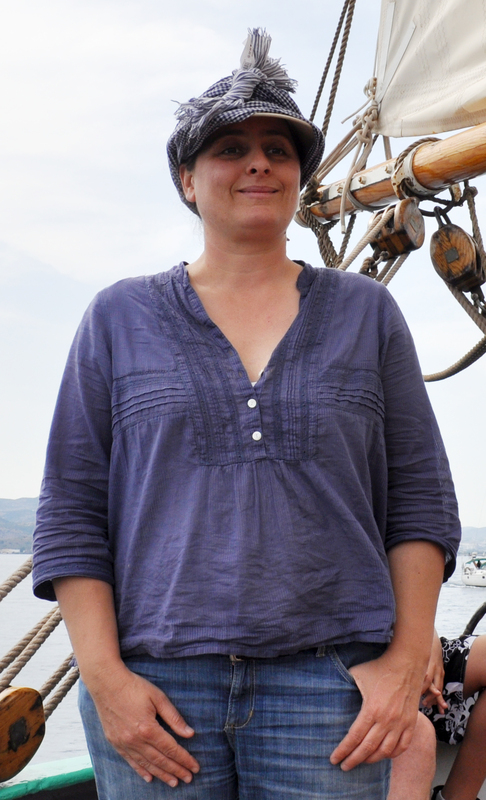 * In charge of the publication of the surface finds from the Sanctuary of Demeter on Kythnos and part of the ceramic finds from the Survey (1993-1996, 2001). a. Pottery: Classical, Hellenistic & Roman Period. Winter semester 2010-11, Archaeology. b. Pottery in Context: Shape and Use of vases in public and private life. Spring semester 2009-10, Archaeology. c. Pottery drafting, part of a joint course on Techniques of Excavation. Spring semester 2010-11, Archaeology: Cataloguing, small finds drafting, archaeological photography, digital drawing (with Adobe Illustrator). Theory Introduction & Exercise.